Jon Erich Rauch was born September 27th in Louisville, Kentucky. The big six foot eleven Rauch attended Morehead State University, the same school the great Football New York Giant Quarterback Phil Simms attended. Rauch was originally signed by the Chicago White Sox in the third round of the 1999 draft. In 2000 he pitched for the US Olympic Team at Sydney Australia. That same year he was voted the Sporting News Minor League Player of the year. In 2002 he made the White Sox out of Spring Training getting his MLB debut against the Seattle Mariners pitching the 7th inning in relief. On April 21st he was roughed up by the Detroit Tigers allowing eight runs in just four innings of work. He was sent down to the minors but returned in September. In eight games he allowed seven HRs that season. He spent all of 2003 at AAA Charlotte, as well as most of 2004. That year he went 7-1 striking out 94 batters getting him back to the big leagues. He was traded to the Montreal Expos for Carl Everett and went 3-0 there with a 1.54 ERA. He moved with the franchise to Washington D.C. in 2004 and would get credit for the teams first win at Nationals Park in D.C. hE be a solid reliever in the Nationals bullpen for the next four seasons. 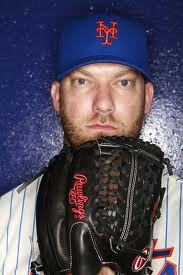 In 2007 he led the NL in games finished with 88, going 8-8 with a 3.61 ERA striking out 71 batters in 87 innings. In 2008 he was given the Nats closing job after Chad Codero went down with injury, saving 17 games while going 4-2 with a 2.98 ERA in 48 games. On August 28th he was traded to the Arizona Diamondbacks for Emilio Bonifacio. In Arizona he was terrible going 0-6 with a 6.56 ERA for the second place D-backs. In 2010 the Twins won another AL Central title, Rauch was the teams closer, after the departure of Joe Nathan. He saved 21 games, until Matt Capps arrived to take over the role. Rauch went 3-1 finishing up 41 games in 59 appearances. 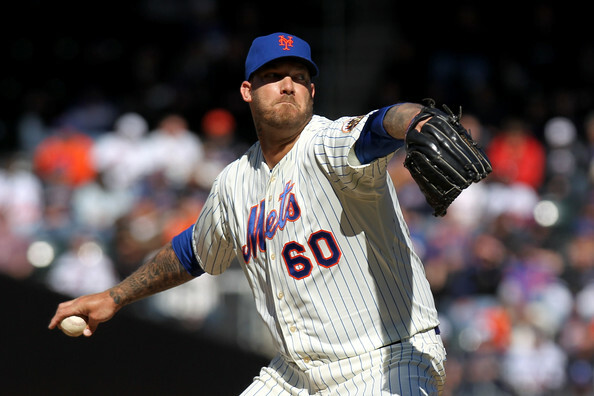 In January he signed on with the Toronto Blue Jays and went 5-4 with 11 saves in the 2011 season. 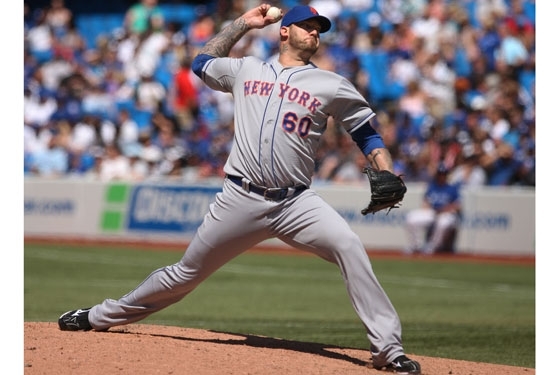 In 2012 he signed a deal with the New York Mets. The big tattooed guy debuted as a Met on Opening Day earning a hold in the Mets 1-0 win. After getting another hold, he earned his first win on April 9th against his old Washington team mates. In that game Daniel Murphy singled home the game winning run in the 9th inning. In the final week of the month he earned two more wins & found himself at 3-0 with two holds posting a 0.00 ERA on April 25th. Later in the month the Mets blew a three run lead in the subway series at Citi Field, then in the 7th inning Rauch served up an Eric Chavez HR, in what turned out to be the game winning run. 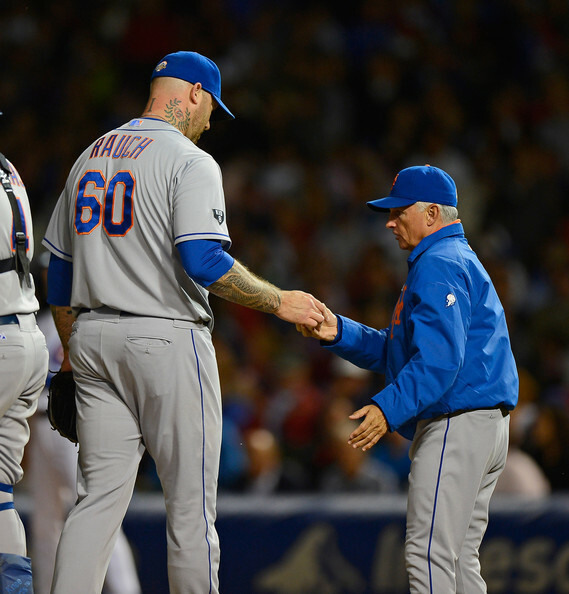 After a good first half the Mets floundered in the second half of the season. Rauch was credited with three hold in July as well as two more in August when he had to bail out Frank Francisco both times. He also got credit for two saves that month as well. 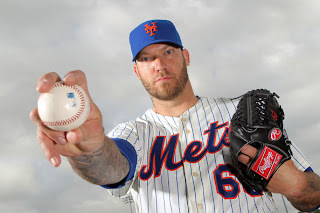 In his ten year career he his 42-38 with 61 saves & a 3.74 ERA in 531 games through mid september 2012.